So you’ve made a bucketlist and your an average person who has his fears of spiders, snakes and heights !!!! That feeling of vertigo when you stand on a high structure and watch below. Now imagine this standing on top of a ledge and looking at a city from 400m above ground zero. The wind sways and your dropped in a moment of weightlessness…. Phew now where was I !!!!! Lets rewind a little. 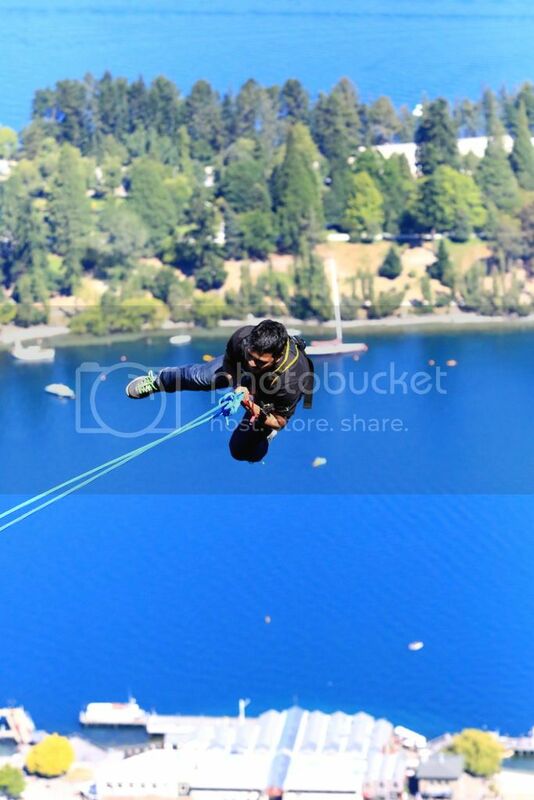 Queenstown for the Christmas holidays and my bungee swing had been converted to the scarier ledge swing. Imagine being suspended high up in the air and a small red safety pin to pull. 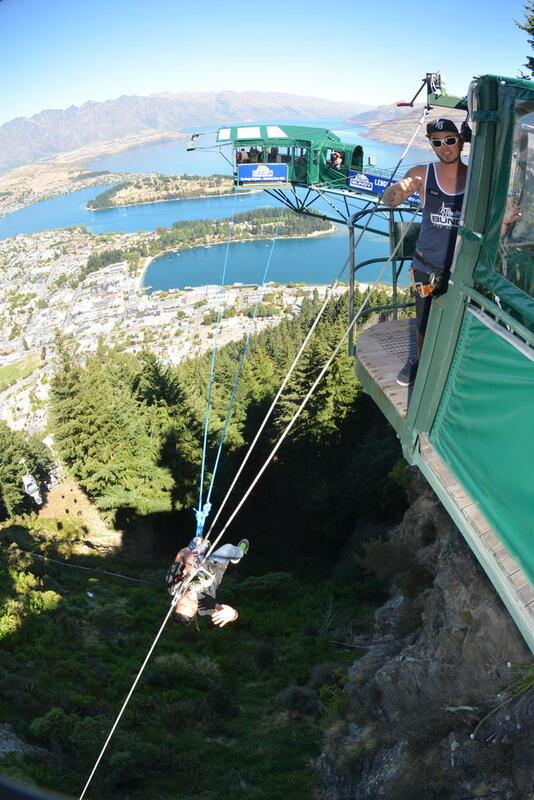 I had booked a swing with Aj Hackett in Queenstown and had spend the entire morning watching crazy people screaming and then it was my turn. A quick note of your weight and your off and away to be harnessed, a few more nerves and your lowered just below a ledge and ready for your swing, now this is the most excruciating part of the experience. Your made to wait a good 10 seconds as the crew go on about the final safety procedures. You’ve got to remember to buckle on the return rope once you’ve finished the swing. My mind was going crazy, the height was maddening, What was I doing !!!! What if the rope snapped, was I too heavy at 71kgs and whom !!!!!! The crew member pressed a switch and I dropped down a dead weight. Its that crazy feeling as you loose all senses around and you hurtle head on into the valley. Once you get past the initial swing, I believe it turns a little more joyful as you start to admire the beautiful city of Qtown.